I started work on a book called “Divorcing Corporate America,” about leaving the traditional 9-5 in search of work/life balance and FREEDOM. I was happy at my corporate job, earning a good living and making a difference in thousands of military lives each year. But I got a new boss who had different ideas about success. In short, he wanted to be a good manager, but he was not a good leader. Trust me, those two roles are very different. I was a SME, Subject Matter Expert on double digit year over year growth, which I learned by having an awesome team. He was an SME on CYA (cover Your A”**). His idea of his role was constant belittlement and nitpicking on minor details that had nothing to do with the job. I remember one time he asked me to write up a top performing employee for being seven minutes late for work. Nevermind that the employee brought in tens of thousands in revenue annually, he wanted a written piece of paper to discipline the employee. He stated if we could put “them” (employees) on “paper,” we would have ammunition to use if we needed to let them go. Are you kidding me? Why would I want to release a high performing employee for being stuck in traffic? When I refused to document this minor infraction, he put me on a discipline, stating it was a refusal to follow directives. Our relationship deteriorated from there. I think in corporate America, many employees are in abusive relationships with their boss. And many bosses take advantage of their position, working to cement the status of the relationship. This is why we need to revamp the system, and divorcing corporate America is the start. I’ve started a publishing and media company to promote my book. The first book published is a Sci-Fi thriller. I’ve included the first chapter excerpt below, and a link to Amazon.com where it can be purchased. But if you send me an email, I’ll send you a pdf copy absolutely free. No strings except for an email about my KICKSTARTER project supporting the company. “Darwin woke to the acrid stench of smoke and soot, the cold oily taste of a blaster barrel in his mouth. The Templar’s voice was rough, torn from screaming a battle cry at the approaching mob. Blood dripped from welts, nicks, and bare misses, dropping onto the wrinkled white lab coat. Darwin tried to clear his throat, speak around the barrel. Stall for time, gather his thoughts. He needn’t have bothered. Bruce screamed, fear and mania adding new dimensions to the shrieks he was able to produce. He bolted for the door. The Templar moved like coiled lightening. He lifted the gun barrel, tracked and shot. But the charge was empty, the shell no more than a small disappointing projectile that barely made it across the room. Bruce reached the lab door, fumbled the catch, forgetting the Mob, the curfew that trapped them inside. The only thought in his stricken mind was primeval, pure instinct. Fight or flight and fighting was not an option. The Templar threw the gun at his head and chance made Bruce move in time. The muzzle sank into the plas steel door. Bruce screamed again and jerked it open. “Bruce! No!” Darwin called after him, but all he could hear was faintly retreating footsteps. He shoved at the Templar’s massive thigh holding him to the ground. It didn’t budge. “Where have you brought me demon?” The Templar seemed of a mind to strangle the Doctor, one way or another. Fingers tightened around his throat. Bruce’s scream was different this time. He ran back into the room and tried to shut the door. The Mob hit the door before he could close it. Their weight was too much, their momentum too strong. Bruce sailed across the room, landing on the far wall with a dull thunk. The Templar leaped off Darwin, facing the door and the new menace that growled and grumbled in front of him. “Stop them!” Darwin mustered all the authority he could think of. The command triggered something deep in the Templar, training ingrained in the psyche. He had no flight response in his reasoning. He only knew fight. Ripping a small test tube bar from the table with one hand, and waving his mighty sword, he leaped into the crowd. The Mob’s collective conscience didn’t know what to make of him. Their existence was dependent on numbing fear, actions played out while prey lay paralyzed in inaction. The crowd was never the same on any given night. Members came and left as hunger or death drove them or dragged them down. The Mob moved about with nothing better to do, no greater purpose than to feed off the leftovers. No one had bothered to challenge them in years, because challenging required too much energy, too many resources. The Mob claimed the night. No one could steal that from them. 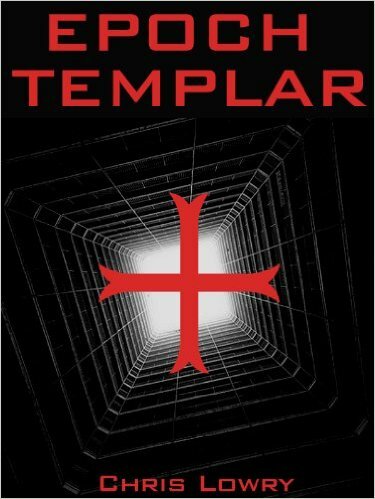 The Templar did not know about the Mob or what drove them or what anyone else’s perception of them was. All he knew was the boiling blood under his skin crying for battle, the arrogant assurance that he was a match for any man or beast he came across. He did not know fear. It was never taught to him. He jumped at the first comers pouring through the door and noted that the small aperture would allow easy defense. No more than three or four people could fit through at one time. They came at him hesitantly, unsure. He turned that to his advantage, striking with sword and pipe, laying waste until the bodies piled up to his waist, becoming an effective fortress. Darwin crawled under the table to Bruce, dragging him to safety. He hit an emergency button and watched the Templar. The Mob reacted with fear, then anger, then determination to kill at all costs. They flowed over him like waves on a beach. But they were unable to best him, unable to find an advantage on this giant figure of a man in his torn armor and blood soaked visage that grinned at them with a rigor mortis smile. Their numbers decimated, their courage fled, the Mob turned and slowly leaked back into the hallway. The Templar clawed over the bodies and followed them, seeking out the fleeing forms and bashing them with the pipe. Darwin continued to stare from under the table, hoping in the back of his mind that other members of the research facility had either gone home or been able to lock themselves in tight before the Mob arrived. He stared over the corpses strewn in the doorway, watched the figure of the Templar hunting in the hall. Bruce couldn’t talk. His outrage was evident in every move. He crawled to the door, kicking the bodies out of the way with his feet and shut it closed, double bolting it. He ripped the black paper covering the glass pane in the door and peeked out at the Templar. “Or save us,” Darwin offered. Bruce accessed an emergency panel hidden in the wall. “Did you call the Troops?” he asked, hitting a big red button over and over. If any Troops were available, they would come to clear out the Mob. “Don’t do that,” Darwin tried to move on Bruce, but the young man hit a second button twice before his hand was batted away. Green gas jetted from hidden recesses in the ceiling in the hall. They watched as the remaining members of the Mob succumbed to sleep. Bruce motioned to the throng of bodies both inside and outside the door. Bruce was about to say something, but the Templar leaned against the glass pane, searching the room with glazed eyes. He beat against the door, shaking it in the frame. “He’ll never make it through. Nighty-night,” Bruce waved. The door cracked and fell open. Bruce and Darwin backed away from the gas washing into the room. Bruce pitched headfirst across a table and slid down. The Templar stumbled to Darwin, crashing beside him. He landed on one shoulder and watched for a moment before closing his eyes.